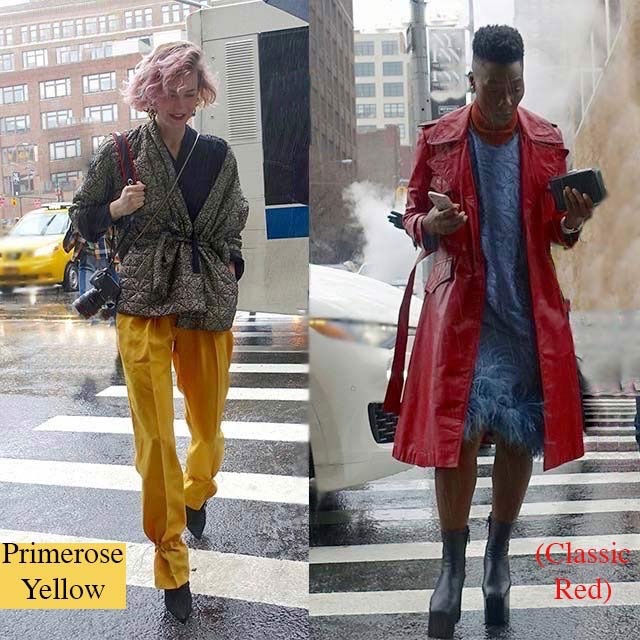 It was obvious during NYFW that pinks and yellow are still going strong since last fall. The dusty shade called Pale Dogwood is certainly a close relative to – if not a dead ringer for – Millenial Pink. And for those whose complexion or personality doesn’t pull off that extra soft shade of pink, there’s a lovely option called Pink Yarrow. I have to say that I’m surprised that there aren’t more shades of yellow, but I suppose that Primrose Yellow is a safe middle-of-the-road variety. Even if like me, the color is challenging with your skin tone, a primrose accessory here or there doesn’t hurt. Of course, who says we can’t still enjoy the classics, like bight red, ivory, navy, and black? Speaking of classics, I’m sure that all of us have something in our closets in Hazelnut. While calm neutrals are fabulous, sometimes we want something a little more fiery, like Flame. 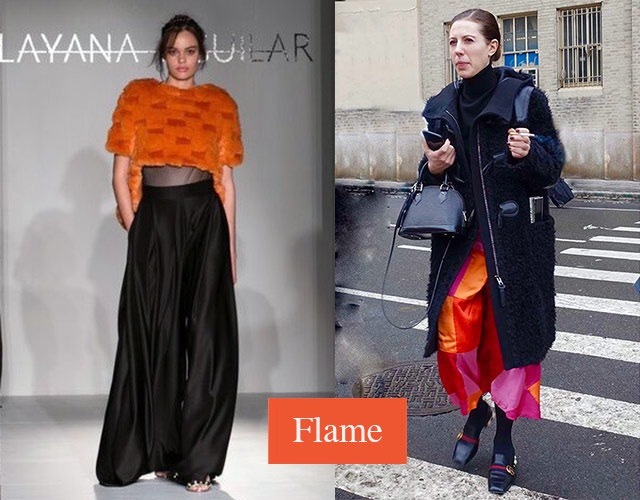 Here are examples from LAYANA AGULAR‘s runway and the street. Lapis Blue, a more jewel-toned variety. As you can see in the swatch, Island Paradise is a teensy bit greener that this awesome suit. Lastly but not least we have Pantone’s 2017 color of the year, Greenery. This color reminds me of the light green you see in new shoots of plants in spring. 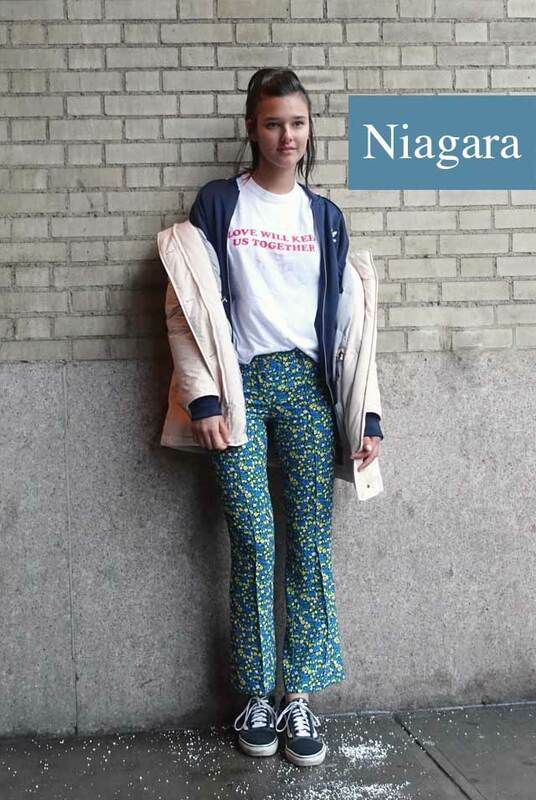 With respect to Kale Green, I unfortunately missed seeing or noticing it during NYFW. 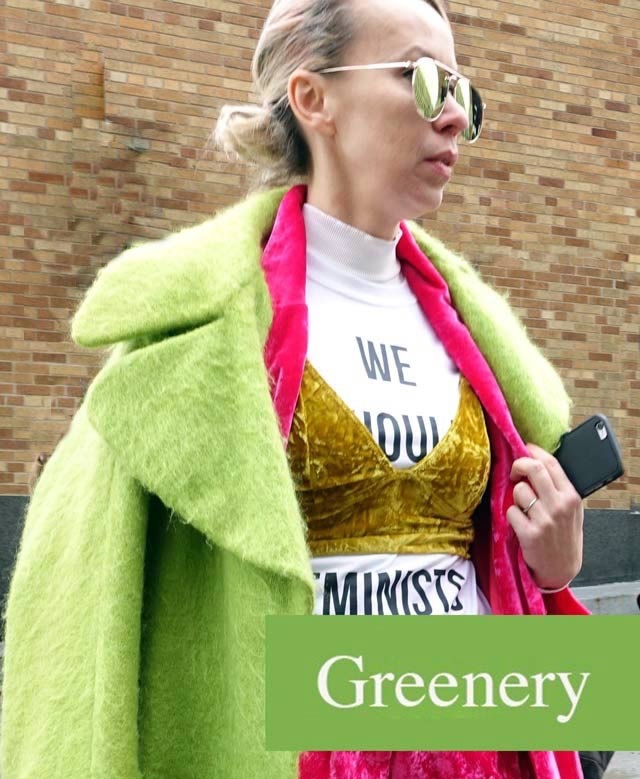 Or, perhaps we’re just not in a kale mood as Pantone might have suspected when they came up with these colors last September. To be honest, I saw a ton more fashionistas dressed in pinks than in kale or greenery. Of course, green is a beautiful color for spring, regardless of whether it is on the official list. I hope that these examples give you a good idea of the 10 hottest spring colors according to Pantone. 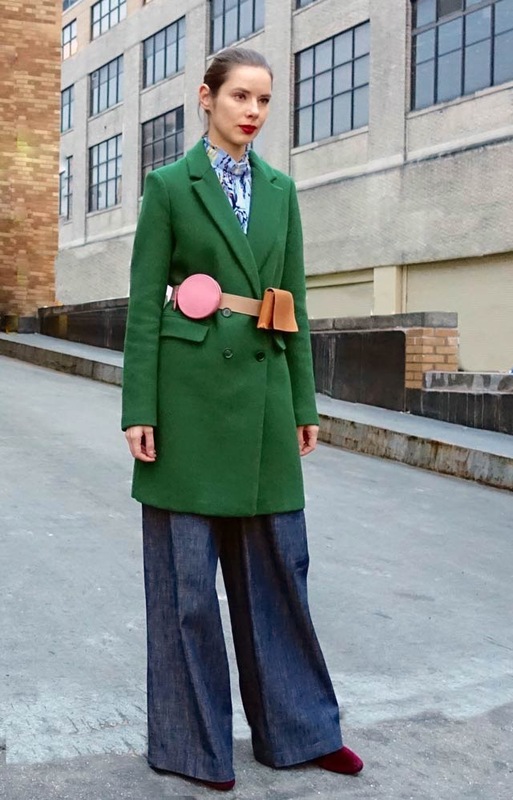 Even if your spring weather is still strongly resembling winter, perhaps you’ll be inspired to have fun donning some of these beautiful tones of the season. What do you think of these hues – any favorites? I think I’ll stick with pink and green! Definitely digging these colors- it’s always so fun to work in hues you haven’t worn much of! Really nice to see these colors! All look lovely <3 Blue is my fav pick!